‘Animation is just like the other movies. The essential thing is that the story is attractive. If it is not a good story, the audience will leave in 2 minutes.’ Ling Shu, who graduated from the Sculpture Department of the Academy of Fine Arts, successively held the post of image design, screenwriter and director at Shanghai Animation Film Studio. After the completion of the script, it needs to be discussed by the Arts Committee and will be finally verified after determining the style and reviewing the sample. Ling’s undergraduate study laid the foundation for him to work with other directors together. He believes that even if the image is classical and popular, there should be a good story and script supporting behind to make it even better. 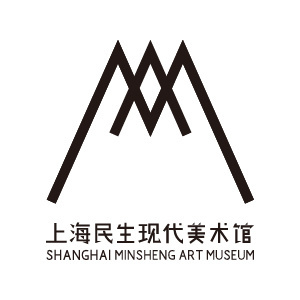 At its early stage, Shanghai Animation Film Studio employed talents with different aesthetic tastes and majors from all walks of life and national art academy, which became a great team. During the period of Planned Economy, the SAFS filmmakers devoted themselves to the creation. As a result, the factory achieved many records, including the first color animation, the first three-dimensional animation, the first paper cut animation, and the first live-action synthetic puppet animation. Most of the SAFS animation films are known for their superior aesthetics and exquisite workmanship. These films are like the extension of different branches to form a big tree, which together reflect the core of Chinese national cultural spirit. In addition to those kid focused cartoons, many works need to be seen combined with the specific historical backgrounds. Many of these esoteric meanings may only be understood by the adults. From the 1980s to the 1990s, the decade witnessed another peak period for the creation at SAFS, and plentiful films and forms came out. Nearly 50 experimental animated short films are presented in the mainstream way under the premise of advocating social responsibility and considering the acceptance of the broad audience. Under the social background of this open decade, the filmmakers at SAFS infused the spirit of reflection and exploration in the process of creation, and they were also encumbered by foreign trends. In this period, many films closely adhered to the background of the times. Some short films with vanguard consciousness reflected the cutting-edge nature of creative intentions at that time and the desire to meet the global standards. The ‘cross-border’ was a natural trend at that time. 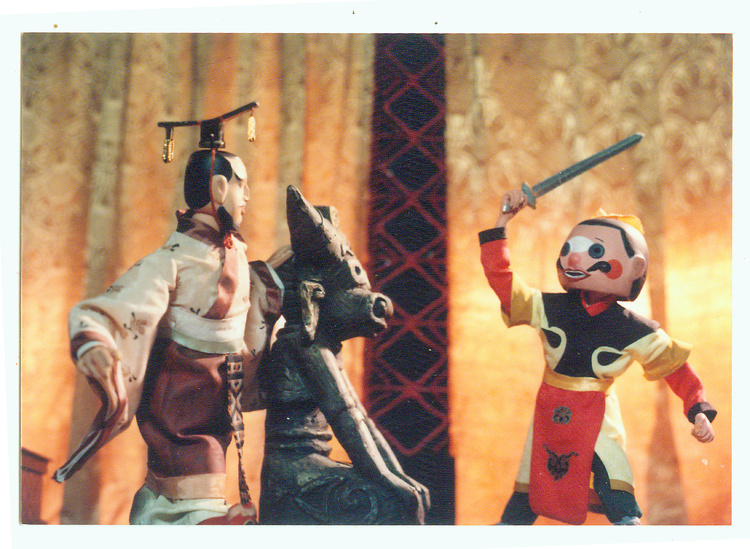 Mei Jian Chi is a puppet animation directed by Ling Shu, which combines the knight culture, sword culture, and the traditional understanding of life, sacrifice, and ‘the world’. During the filming process, Ling had the idea of ​​using pottery figurine to create an image, with the usage of the lighting method and lens scene in movie shooting. However, considering the cost, the length of the original 45 minutes was shortened to 27 minutes. Although some regrets left, he was very excited with this creative try. In 1985, Fishing the Moon from the Pool won the first prize in the Children’s Film at International Animation Festival Ottawa. Without special effects, Hu Jinqing’s unique la mao craftsmanship made the animated image, the monkeys more delicate. The art design A Da also uses romanticism to design the monkeys as colorful characters. In 1985, in order to interpret the story of the different creations of the East and the West, the Nüwa Mends the Heavens refers to the mythology of ancient rock paintings. To find the face of the primitive society, the film team went deep into the region of Yunnan’s Shan State, and a naked upper body was designed to create a mother’s image. In Ling Shu’s view, animated short films have been carefully crafted with new images, which brought in the new tastes of beauty, depth of emotion and expression. The exploration of new themes is more of a highlight and the use of symbols, making the original narrative pattern more intriguing. With the deepening of connotation, animation film techniques are constantly changing, becoming radical, rebellious, subversive, breakthrough, and transcendence, which leads the short animation film. The script for Mo Feng came from a report about the discovery of a crashed aircraft in the desert on Reference News. It was later adapted into the scene of a soldier who died in an ancient battlefield in the desert. The Tall Woman and Short Husband was adapted from Feng Jicai’s novel. The absurd picture prompted the audience to think about how the gap between the two can be erased and why it is in the society. New Doorbell used only five minutes to express the people living in big cities trying to search a connection between his lonely self and the outside world. Deer and Buffalo shows the experimental animation of the exploration of forms and materials. 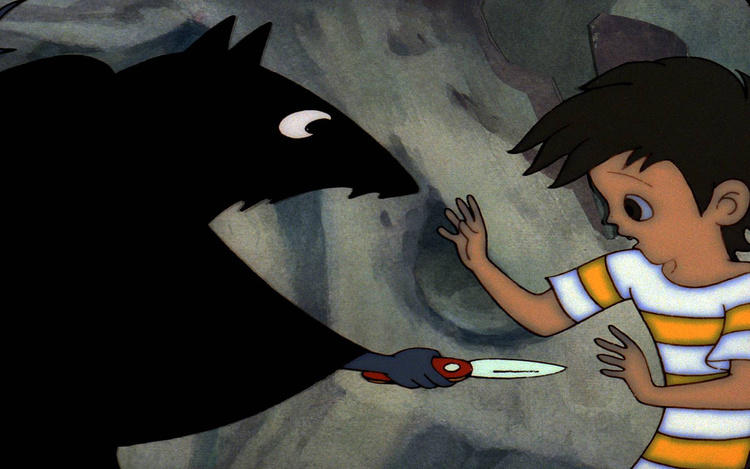 The use of hints and symbolic techniques in animated short films has its own uncertainties and ambiguity. Good animated short films have left many blank spaces consciously or unconsciously, resulting in an objective interpretation of ambiguity. Let the audience use their imagination to supplement and resonate, and get a more comprehensive and richer aesthetic experience. When we mentioned that the animated short film was closest to poetry, Jiazi Saves the Deer was a good example, not only because it used a poetic narration, but more importantly, it created a lyric atmosphere. Yi Zhi Xie is an adaptation of the same-name Sichuan Opera comedy. It is one of the classics of Chinese puppet animations. The play is completely refined and vivid. 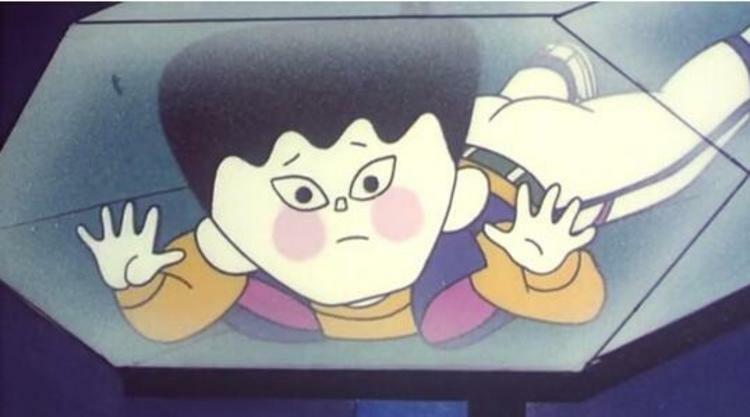 There is no doubt that a mature drama also provides an excellent basis for the adaptation or reference of animated short films. Sometimes, the drama itself can also be used as an expression of animation art. 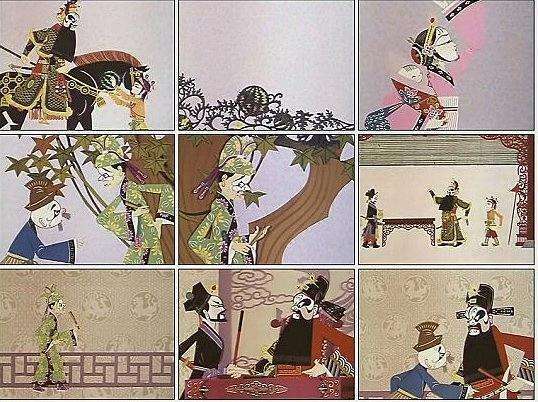 The short film Zhang Fei Shen Gua used the style of folk shadow play. The dialogues of Chinese opera in The Proud General and The Sage of Mount Lao, the melody, and the music fully embodied the characters and enhanced the interest and appreciation of the animated short film. For an animated short film, it is no longer a pure visual art, but a new integrated art that is visually and audibly combined and felt through a variety of senses. It is more in line with the desires and laws of people to perceive the objective world. After graduating from the Academy of Fine Arts, he has worked as image design, script writer, director, writer, and also served as a judge of Chinese Golden Rooster Awards twice. Those experience pushes Ling Shu to see an animated short film from various angles. As an animation filmmaker, he deeply felt the hardships and pains during the creation, and the praise and regret from his success and failure. This time, we invited him to appreciate, analyze, and discuss the creation of short films from the perspective of the practitioner. 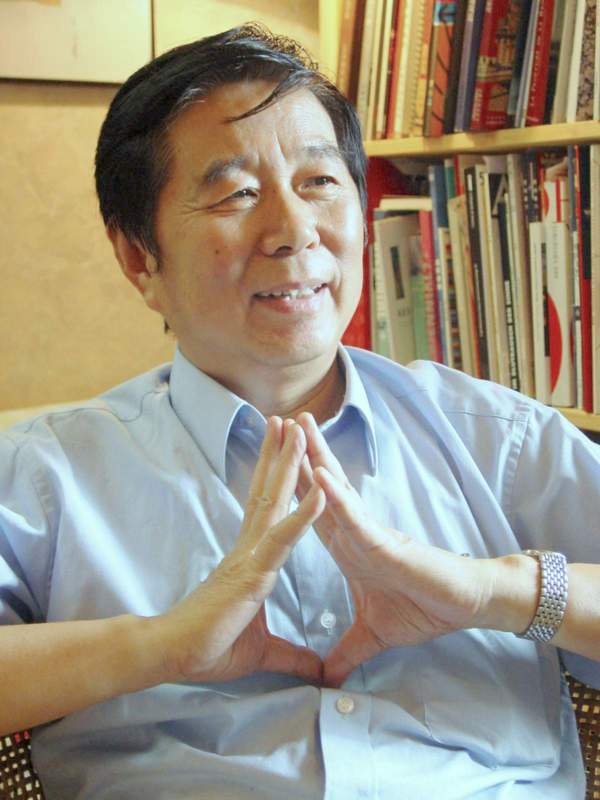 Ling Shu, National 1st Level Screenwriter. In 1964 he entered the Shanghai Animation Film Studio. He successively served as a image designer, screenwriter, and director. Member of Chinese Writers Association, Chinese Film Association; director of Chinese Film Literature Society, China Animation Society. Series: The Tales of Effendi, Journey to the West, Jin Jin and the Panda Patrol (China-America co-production), The Adventures of Sloppy Kings, Tai Kong Fan Dian, Shi Er Sheng Xiao, Mo Gui Xin Pian, Jing Wei Tian Hai, Cong Ming De Ben Xiao Zhu, etc. Art short films: Xi Gua Pao, Fishing the Moon from the Pool, A Fan Ti Zhong Jin Zi, Nüwa Mends the Heavens, Wu Po E Yu He Xiao Gu Niang, The Sage of Mount Lao, Zha Meng Yu Wo Niu, Bai Niao Yi, Mei Jian Chi, Yao Shu Yu Song Shu, Sen Lin Li De Jin Yue Liang, The Monkey Fishing, Sun Moon Lake, Hai Li Bu, Song Shu Li Fa Shi, Meng Huan Hua, Kong Long Dan, etc. Also published several novels, tales and one-act plays.